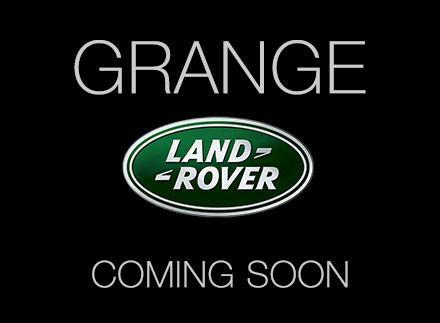 If you are looking for a top quality, low-priced used Land Rover Discovery, then a visit to Grange would be a great please to start. At Grange we aim to offer all our values customers the highest standard of service and the lowest possible prices. 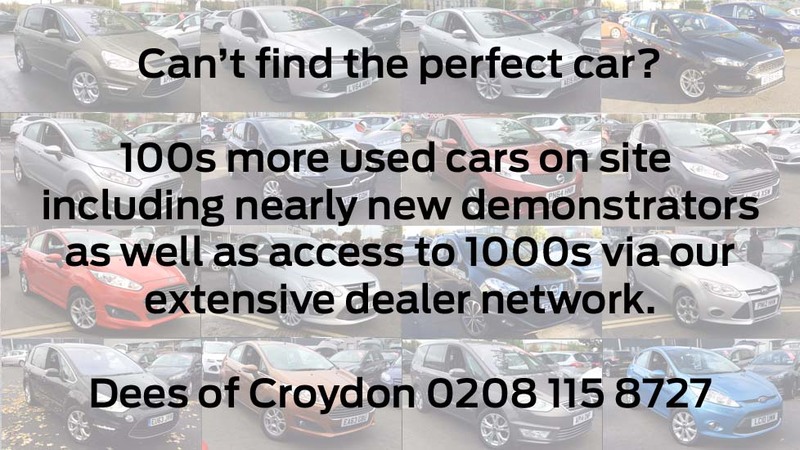 That is why Grange has become the byword for quality car dealers in the automotive industry. The Land Rover Discovery fits very nicely into the current Land Rover range by providing a rugged, go-anywhere vehicle, that is also premium quality. The luxurious and magnificently appointed interiors offer incomparable levels of comfort for both driver and passengers, ensuring enjoyable journeys for all occupants regardless of journey length. If you are looking for a 4X4 that can also double up as a luxurious every-day vehicle, look no further than a Used Land Rover Discovery. 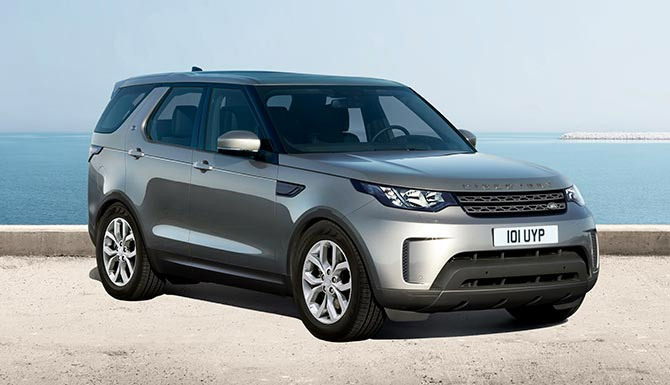 If you are interested in owning a Used Land Rover Discovery enquire with us at either Grange Land Rover Barnet, Grange Land Rover Swindon, Grange Land Rover Hatfield or Grange Land Rover Woodford. Our Discovery 4 is fitted with £385 worth of optional equipment including Roof Rails and Ivory Veneer. It is finished in Baltic Blue with Ebony Leather Upholstery plus 19 inch 10 Spoke Alloy Wheels. Specification highlights include Xenon Headlights with LED Daytime Running Lights, Terrain Response System, Hill Decent Control, Climate Control, Cruise Control, Heated Front Windscreen, Electrically Heated Door Mirrors, 8 inch Touchscreen, Electric Sunroof, Front and Rear Parking Sensors, Rain Sensing Windscreen Wipers, Bluetooth Connectivity, Keyless Entry, Heated Front and Rear Seats, Navigation System, Front Fog Lights, DAB Digital Radio, Automatic Headlights, Auto Dimming Rear View Mirror and 8 Speed Automatic Transmission. Our Discovery has £920 worth of optional equipment including Roof Rails, Heated Front Seats and Electrically Folding Door Mirrors. It is finished in Metallic Loire Blue Paint with Ebony Leather Upholstery plus Alloy Wheels. Standard specification highlights include Xenon Headlights with LED Daytime Running Lights, Terrain Response System, Meridian Sound System, Hill Launch Assist, Hill Decent Control, Climate Control, Tyre Pressure Monitoring System, Rain Sensing Windscreen Wipers, Cruise Control, Navigation System, Front Fog Lights, DAB Digital Radio, Automatic Headlights, Auto Dimming Rear View Mirror, 8 Speed Automatic Transmission, 8 inch Touchscreen, Front and Rear Parking Sensors, Bluetooth, Auxiliary Connection, 7 Seat Configuration and Heated Front Windscreen. Our Discovery is an Approved Used Forecourt Favourite providing you with 2 Years Full Warranty and 2 Years Land Rover Assistance. * MANGERS SPECIAL OFFER* This vehicle has been fitted with £2,915 worth of optional equipment including Premium Metallic paint, Vision Assist Pack, Towing Pack 12N 7 PIN (UK Type), Privacy glass, Veneer - Grand Black Lacquer door inserts and centre console.Standard specification highlights include Bright Pack, 7 Seat and Convenience Pack, Electric Sunroof, Meridian Surround Sound System, 20 inch 5 Spoke Gloss Black finish Alloy Wheel, Cruise Control, DAB Radio, Heated Front and Rear Seats, Park Heating, Rear View Camera, Power fold Mirrors, Navigation System, Electronic Air Suspension, Front Rain Sensor - Windscreen Mounted, Ambient Lighting, Auto Dimming Rear View Mirror, Heated Steering Wheel, Adaptive Xenon Headlamps with LED Signature, Rear Parking Aid, Park Distance Control Sensor Front, HLDF Touchscreen, TV Receiver Digital, DVD Screen. Our Discovery 4 is fitted with £950 worth of optional equipment including Roof Rails and Black Veneer. It is finished in Loire Blue Paint with Ebony Leather Upholstery plus 19 inch Alloy Wheels. Specification highlights include Xenon Headlights with LED Daytime Running Lights, Terrain Response System, Meridian Sound System, Hill Launch Assist, Hill Decent Control, Climate Control, 7 Seat Configuration, Rain Sensing Windscreen Wipers, Cruise Control, Keyless Entry, Heated Front Windscreen, Navigation System, Front Fog Lights, Electrically Heated Door Mirrors, Auto Dimming Rear View Mirror, 8 Speed Automatic Transmission, Tyre Pressure Monitoring System, 8 inch Touchscreen, Front and Rear Parking Sensors, Bluetooth Connectivity, Heated Front Seats, DAB Digital Radio, Auxiliary Connection and Automatic Headlights. Our Discovery is an Approved Used Forecourt Favourite providing you with 2 Years Full Warranty and 2 Years Land Rover Assistance. This vehicle has been fitted with £2,770 worth of optional equipment including Waitomo Grey Premium Metallic, Auto High Beam Assist, Cooled Cubby Box, Privacy Glass, Straight grained walnut wood leather steering wheel. Standard specification highlights include Bright Pack, 7 Seat and Convenience Pack, Electric Sunroof - Glass Tilt and Slide, 20inch Alloy Wheels 5 Split Spoke Aero Viper, Front Rain Sensor, Powerfold Mirrors, Auto Dimming Rear View Mirror, Landmark Exterior Upgrade Pack, Electric Front Seat with Driver memory, Starter System - Stop/Start, Park Heating, Front fog lamps, Adaptive Xenon Headlamps with LED Signature, Automatic Headlamp Levelling, Cornering Lamps, Cornering Lamps, Automatic Low Light Sensing Headlights, Ambient Lighting, Park Distance Control Sensor Front, Rear Parking Aid, Rear View Camera, HLDF Touchscreen, On Board Television Front, Voice Control, DAB, Single CD / MP3 / CD-R, InControl Apps, Electronic Air Suspension. Our Land Rover Discovery is finished in Premium Metallic Waitomo Grey Paint with Ebony Leather Upholstery plus 20 inch Alloy Wheels. It has been fitted with £1,560 worth of optional equipment including Premium Metallic Paint, Privacy Glass and Automatic Headlamps. Standard specification highlights include Rear Seat Entertainment, Electric Front Seats with Memory, Heated Front Windscreen, Heated Front and Rear Seats, Heated Steering Wheel, Meridian Digital Surround Sound System, Front and Rear Parking Sensors, Bluetooth, Rain Sensing Windscreen Wipers, Roof Rails, CD and Radio Player, 8 inch High Resolution Touch Screen, Digital TV, Tyre Pressure Monitoring System, 7 Seats, Adaptive Xenon Headlamps, 8 Speed Automatic Transmission, Power Adjustable Steering Column, Electronic Air Suspension, Front Fog Lamps, HDD Navigation System, Keyless Entry, Cruise Control, Climate Control, Bright Pack, Electric Sunroof, Rear View Camera and Terrain Response. Our Discovery is an Approved Used Forecourt Favourite providing you with 2 Years Full Warranty and 2 Years Land Rover Assistance. 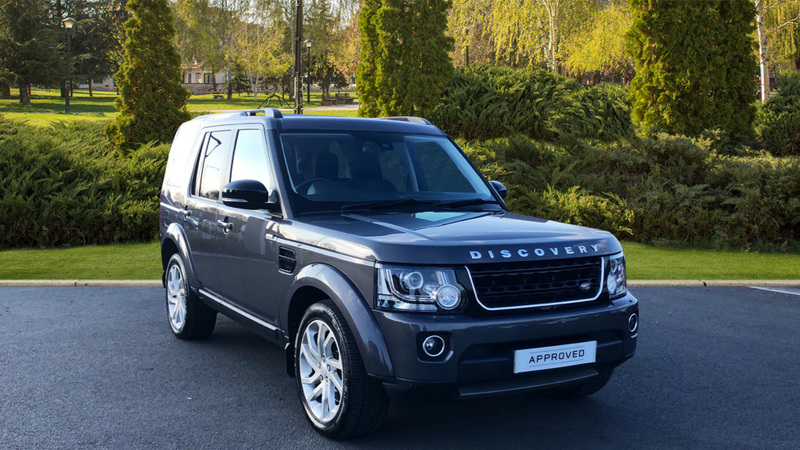 Our Discovery 4 is fitted with £2,525 worth of optional equipment including Panoramic Roof, Electric Front Seats with Lumbar Support, Privacy Glass and Black Roof Rails. It is finished in Aruba Gold Paint with Arabica Almond Leather Upholstery plus 19 inch 7 Spoke Alloy Wheels. Specification highlights include Xenon Headlights with LED Daytime Running Lights, Terrain Response System, Meridian Sound System, Hill Launch Assist, Hill Decent Control, Automatic Climate Control, 7 Seat Configuration, Rain Sensing Windscreen Wipers, Cruise Control, Keyless Entry, Heated Front Windscreen, Navigation System, Front Fog Lights, Electrically Heated Door Mirrors, Auto Dimming Rear View Mirror, 8 Speed Automatic Transmission, Tyre Pressure Monitoring System, 8 inch Touchscreen, CD Player, Front and Rear Parking Sensors, Bluetooth Connectivity, Heated Front Seats, DAB Digital Radio, Auxiliary Connection and Automatic Headlights. Our Discovery is an Approved Used Forecourt Favourite providing you with 2 Years Full Warranty and 2 Years Land Rover Assistance. Land Rover Discovery SE, Powerful V6 Engine, 6 Speed Automatic, Ask about our GardX Vehicle Protection System, this car also qualifies for our AA backed Warranty for Life Package. Our Discovery comes with a great selection of equipment and features which includes 7 Seat configuration, Meridian audio system, Parking aid with a rear view camera, Heated front seats, Keyless entry and start, Black roof rails, Navigation system, DAB radio and Bluetooth audio streaming as well as phone connectivity. Our Discovery is fitted with £405 worth of optional equipment including Privacy Glass. It is finished in Metallic Santorini Black Paint with Ebony Leather Upholstery plus 20 inch 5 Spoke Alloy Wheels. Specification highlights include Hill Launch Assist, Hill Decent Control, Electric Sunroof, 7 Seat Configuration, Rain Sensing Windscreen Wipers, Cruise Control, Keyless Entry, Heated Front Windscreen, Navigation System, Front Fog Lights, Electrically Heated Door Mirrors, Auto Dimming Rear View Mirror, 8 Speed Automatic Transmission, Adaptive Xenon Headlights with LED Daytime Running Lights, Tyre Pressure Monitoring System, 8 inch Touchscreen, Rear Seat Entertainment, Front and Rear Parking Sensors, Bluetooth Connectivity, Meridian Sound System, In Control Apps, Heated Steering Wheel, Heated Front and Rear Seats, DAB Digital Radio, Auxiliary Connection, Automatic Headlights and Auto High Beam Assist. 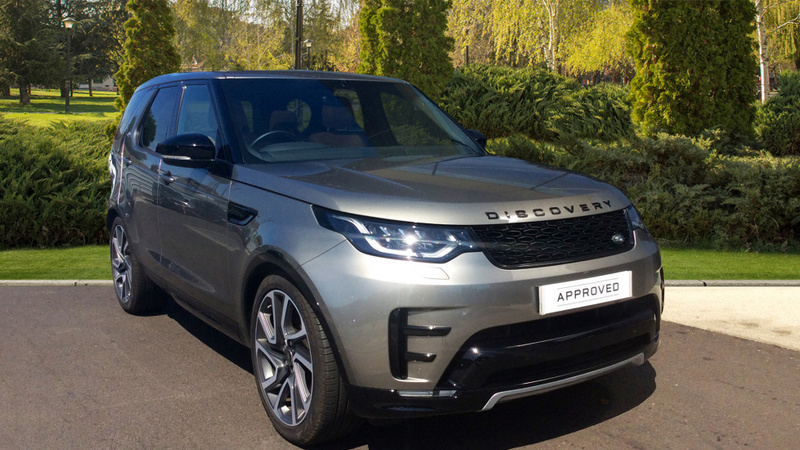 Our Discovery is an Approved Used Forecourt Favourite providing you with 2 Years Full Warranty and 2 Years Land Rover Assistance.